Making your own floral centerpiece to celebrate the beauty of Spring isn’t hard to do. 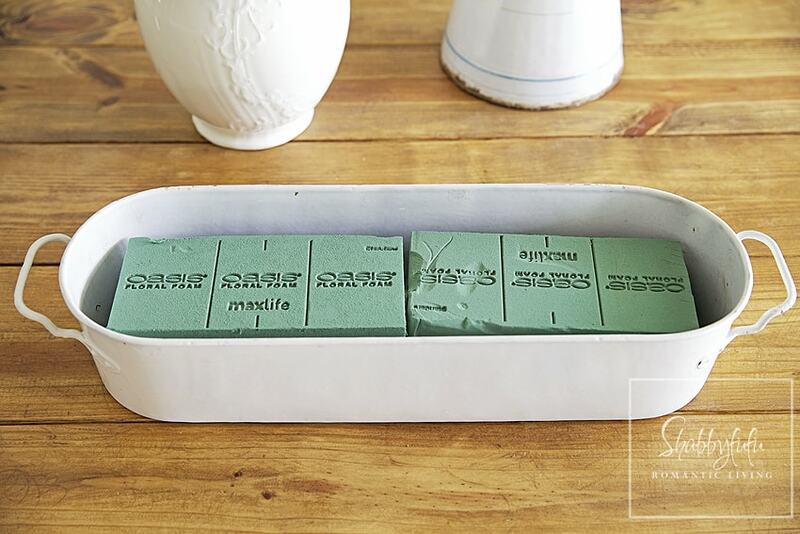 With a few simple instructions and creativity, your table will be looking beautiful in no time at all. 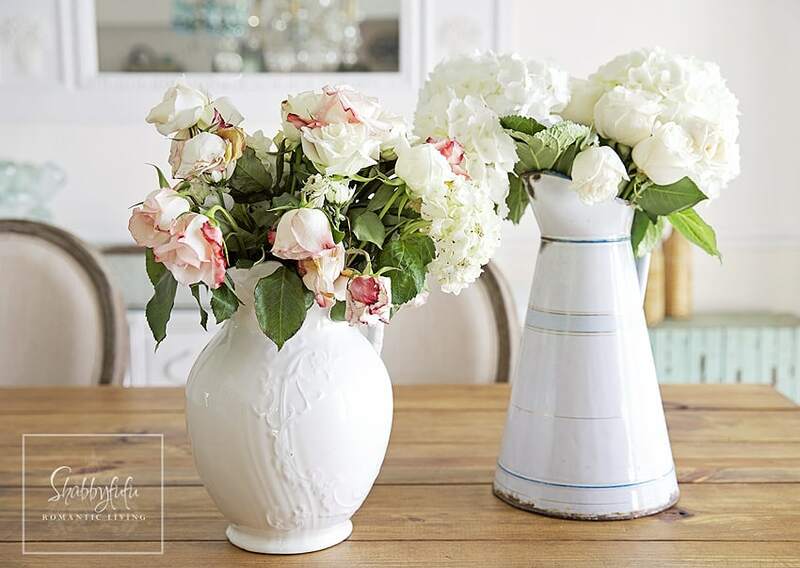 I promised another floral arranging tip in my last post because when I have an abundance of flowers that are not in their prime anymore I usually recycle them. This is how I decided that I would teach about the beauty of floral centerpieces! If you’re interested in learning how to do the same, I’m so happy to show you! 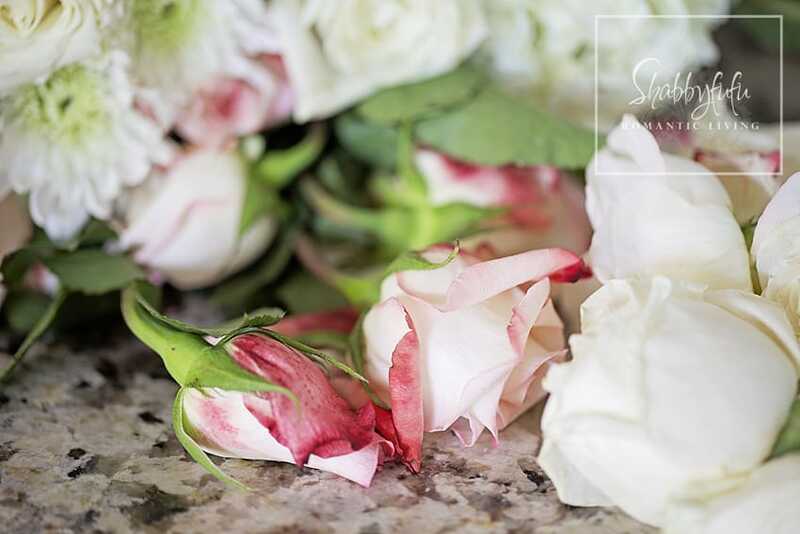 These roses are most definitely wilting and although the hydrangeas look pretty good in the photo they are a week old and just about ready to go. I often with clip my floral centerpieces shorter and reuse whatever flowers I can for the next week. It’s a great budget tip and I’ve saved a lot of money buying flowers at the grocery store every other week, rather than every week. If you change the water daily that helps…and I’ll put my flowers into Mason jars as I’ve shown in THIS POST. Out come some garden shears and I love the BONSAI CLIPPERS that are strong and sized for a woman’s hands. For this project, I cut the stems short at about 4-6 inches below the flower bases. 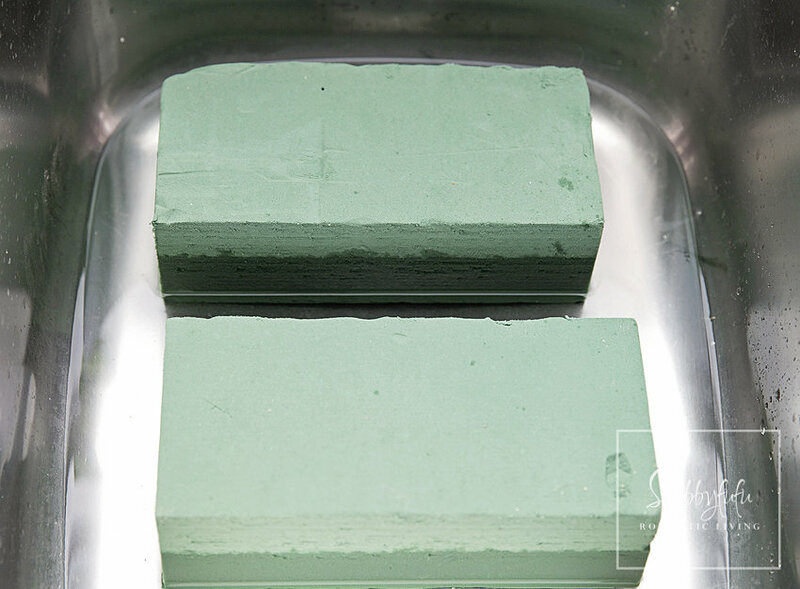 You will be soaking in FLORAL FOAM so you want them long enough to insert and soak up water. The length of the stems will decide on how deep the container is that you are storing them in. Floral foam is something that I always have on hand for challenging arrangements. My tip here is to soak floating and not submerged in your sink. You don’t need or want too much water, especially for a project like this one that will have relatively short stems. Yes, this is a fish poacher! I don’t poach fish and it was a thrift store find, so I painted it white for the purpose of floral arranging. It’s useless now for fish poaching, that is for sure. Lay the wet Oasis Floral Foam into the poacher. If you don’t have a fish poacher or can’t find one, try another small metal container from your kitchen that perhaps you just no longer use. I began arranging the flowers by what was pleasing to my eye. I worked from the center out and spaced the very droopy flowers on the ends to hang over. 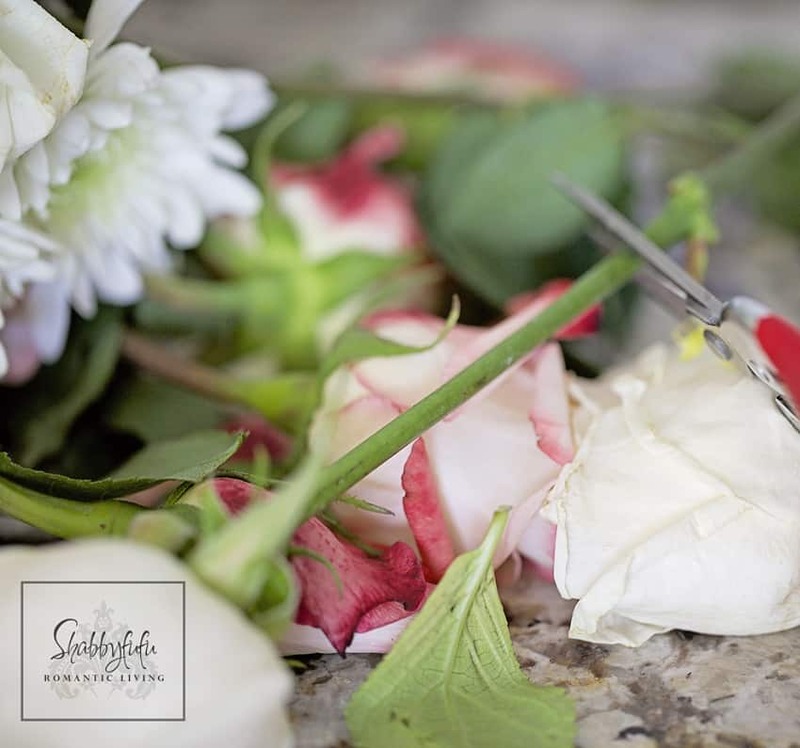 Just play around…this is the fun part of unstructured flower arranging! Some people prefer to use artificial flowers when making table centerpieces but I prefer the look and smell of fresh flowers! 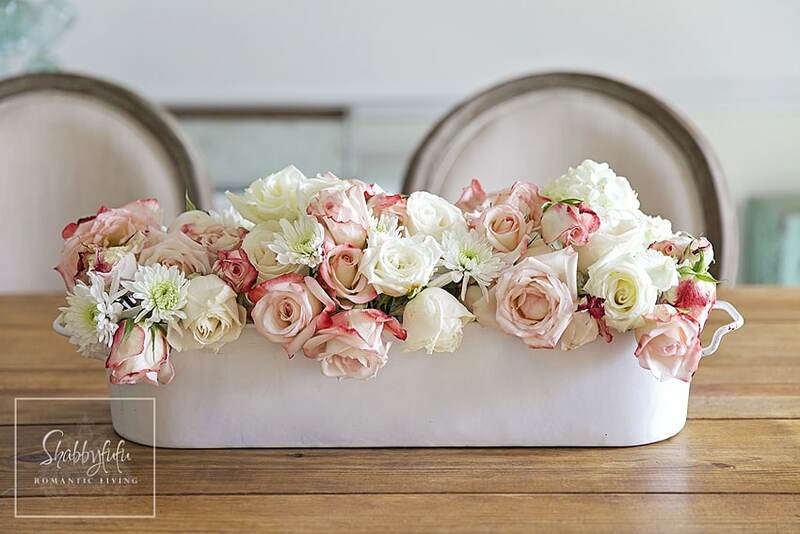 These type of floral arrangements could even make amazing wedding centerpieces! 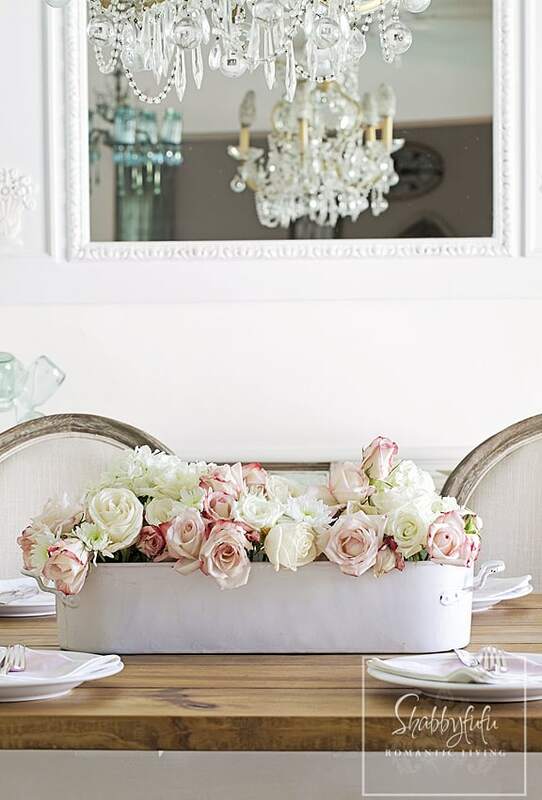 Did you know it was so easy to make floral centerpieces for dining tables? 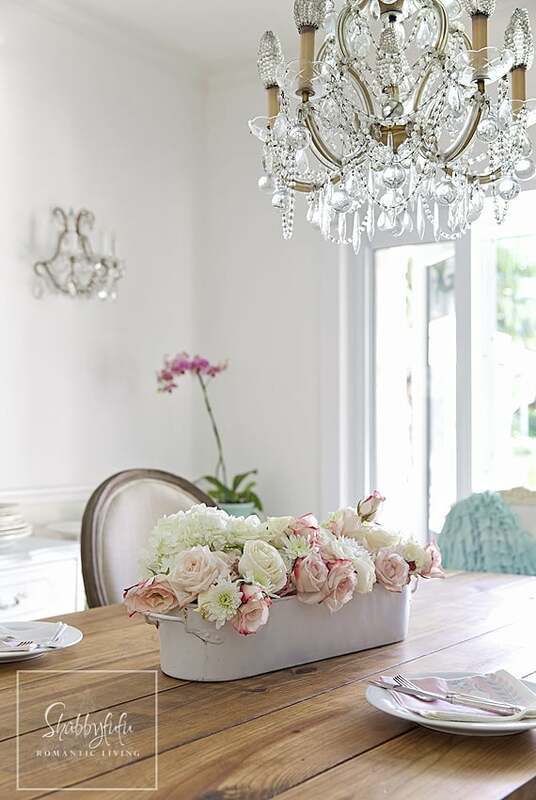 When entertaining I love a low centerpiece like this to allow for conversation from all sides between guests. You could hit up the thrifts and find several fish poachers to use at a wedding or dinner party. Combine an arrangement like this with some old jelly jars or yogurt jars around it. 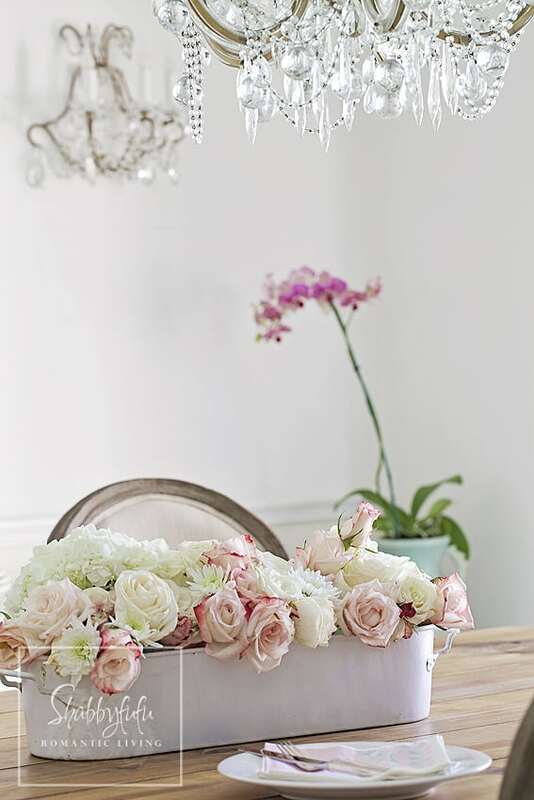 You could also do this type of floral centerpiece with SILK FLOWERS. Here are some of my favorite silks, slide to see them all! 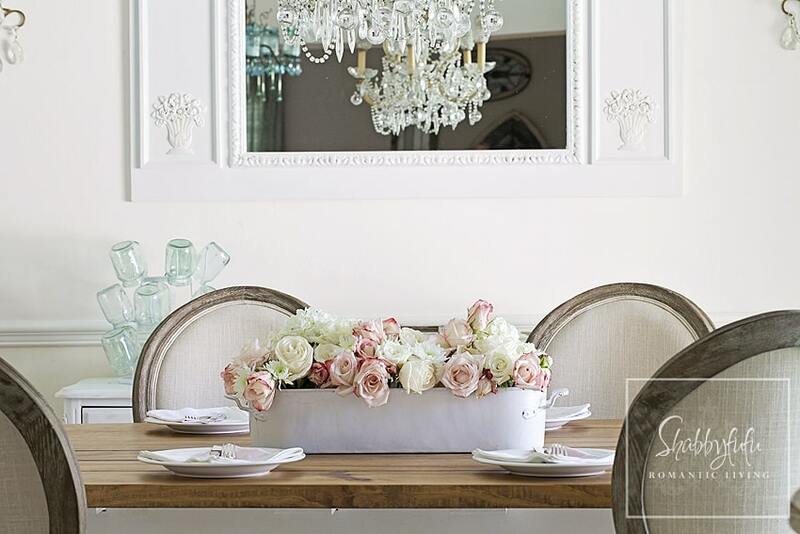 LOVE YOUR STYLE AND LOVE THIS ARRANGEMENT! That looks terrific!! Got more mileage out of the same bouquet. Love your photos. 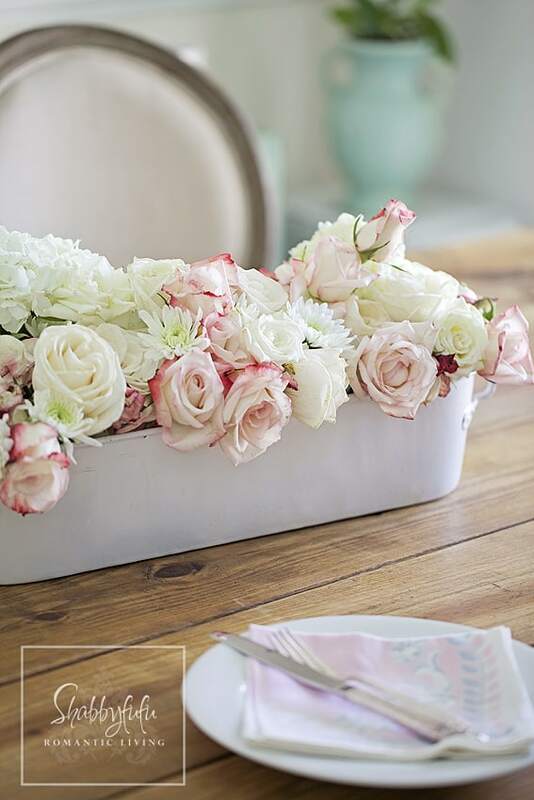 Love the container and of course the roses…I try to make low centerpieces for dinner parties…actually did one for a dinner party at my house last week….You always have the most gorgeous roses! love this idea janet! thank you for sharing! Thanks Edie…hope you have a great week!